Low fat, guilt-free cheese steak sandwich! Now, why would a vegan, ever care to create a veganized version of a Philly cheese steak sandwich? Even though I have had my fair share of food containing animal parts and by-products while growing up in France, I must confess that I have never tasted a steak sandwich during my carnivorous years in the US. For some reason, it didn’t appeal to me! 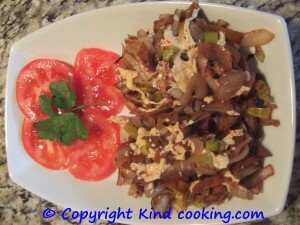 But yesterday, my girl friend suggested I made one for lunch using some Tofurky deli slices she had bought. I thought why not? I did a little research online since I was a neophyte in the art of steak sandwich! But how complicated could it be? bread that way. We were good to go! 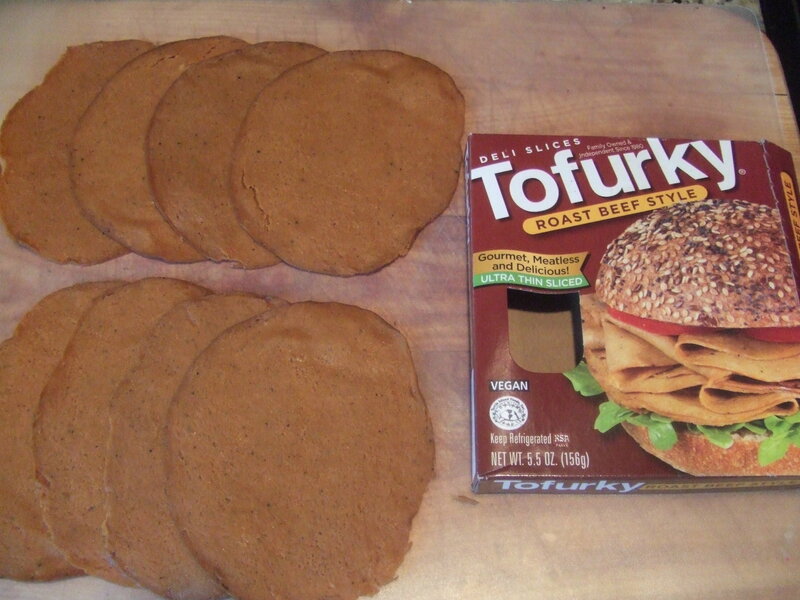 Roast beef Style Tofurky – Yum! Put a little vegetable oil in a frying pan and cook the onions over medium heat. 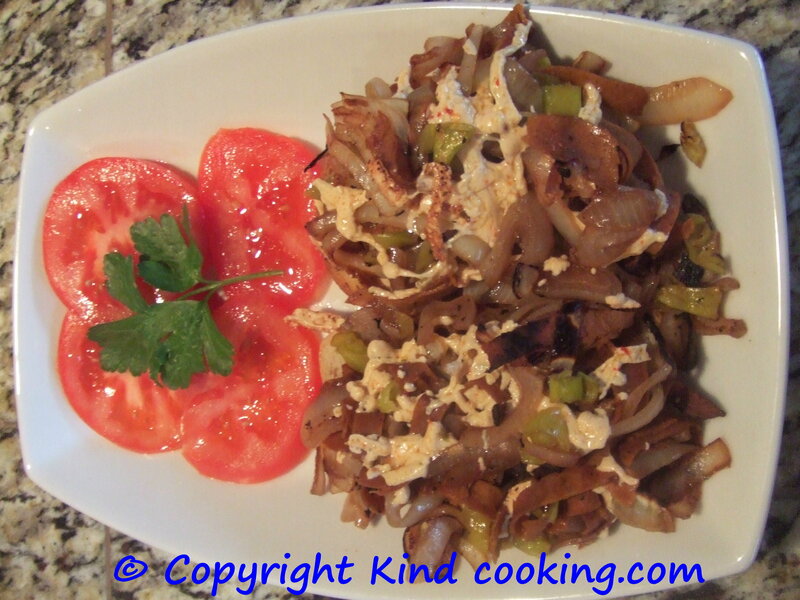 Sprinkle some balsamic vinegar and mix with the onion, then add the soy sauce. Cover and mix from time to time. Add a little water if needed until the onions are translucent. 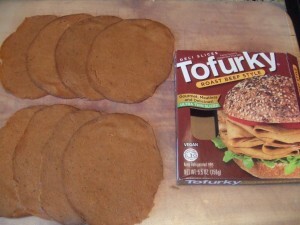 Open the Tofurky package and separate the slices. Slice in strips. If you can digest bell peppers, take a half red or green pepper, remove the stem, the seeds and slice in thin strips. We used pickled pepperoncini instead and it worked out even better because they were pickled and didn’t need much cooking. Mix the peppers or pepperoncini to the onion mixture. Cook the peppers for a few minutes or until they are more tender. Toast the bread if you would like, not if you are using French rolls. 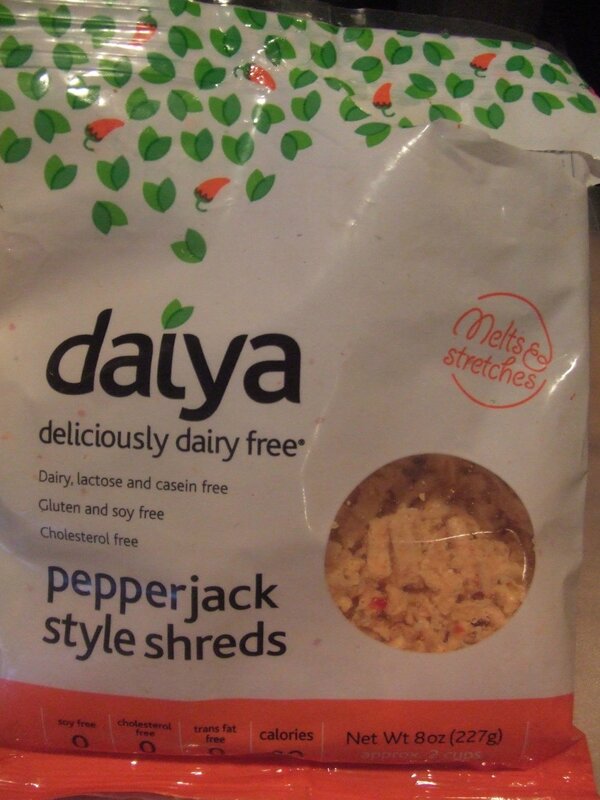 In the frying pan, create 4 separate portions and sprinkle some of the daiya pepperjack shreds and cover to melt in. Place the bread on plates and quickly serve the steak mixture being careful to keep the melted cheese on top. It may require a spatula and a spoon to transfer successfully. 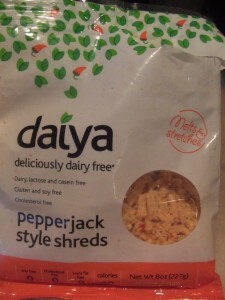 *if you can’t find daiya pepperjack style shreds, don’t worry, if you only have regular daiya cheese, just add some sea salt, black pepper, paprika and a touch of chili powder. 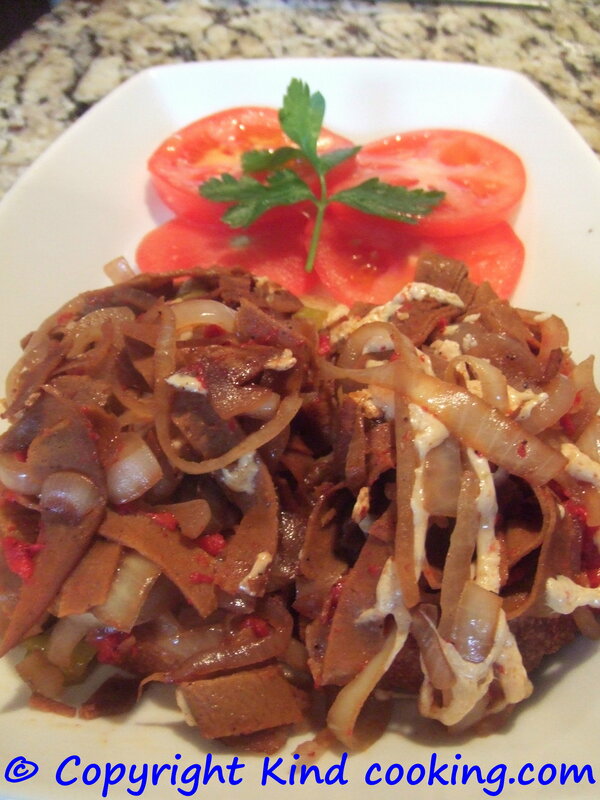 Your Vegan philly cheese steak sandwich is served! By the way, this sandwich is cholesterol free (only animal products and by-products contain cholesterol), low fat (just the oil for stir-frying the onions and what’s in the cheese on top!) I used no mayonnaise or dressing for the bread because it doesn’t need it! You actually could lose weight on this! Un-believable! So enjoy and indulge because there is nothing to be guilty about! You saved a cow, made a great sandwich in the process, discovered a delicious new lunch dish… Life is sweet!